It bears the unmistakeable hallmarks of a shelving system with all the benefits offered by open-plan living. With passionate attention to detail, tRACK is set to become a classic. As a stand-alone design object, which draws its power from within, this piece of furniture makes a confident statement about balance, stability and style. Throughout the imm fair in Cologne from 14 to 20 January 2019, the shelving system together with the German sales partner, Form Exclusiv Design Wiemann, delivers a world premiere, playing its part in an exhibition bringing together international design icons in a composition that embodies the spirit of all that is sophisticated and special. Solid craftsmanship, timeless design and a sense of enduring values: these are the three cornerstones of a multifaceted partnership, the start of which is marked by imm 2019, which promotes itself as the “largest showroom for the furniture of the future, current trends in interior design, experimental living concepts and pioneering technologies, as well as major brands.” In the “Pure Atmospheres” section, for example, you will find holistic living philosophies from the big design brands. At stand T048/U049 in hall 11.3, the producers of tRACK are leaving nothing to chance: names like Buster + Punch, coolGiants, porcelain manufacturer Fürstenberg, Steinway & Sons and the publisher Taschen illustrate the high level of ambition they are pursuing with this innovative furniture. VOLUMe K by Kesseböhmer is the new brand name behind tRACK, a modular and visually distinctive shelving system, which – though stripped to the essentials – celebrates individuality. The key design and basis of this innovative solution, which displays the Kesseböhmer signature style and expertise in metal processing, is the eye-catching T-connector. T-connectors can harmonize or contrast with the steel rods and a choice of shelf materials. 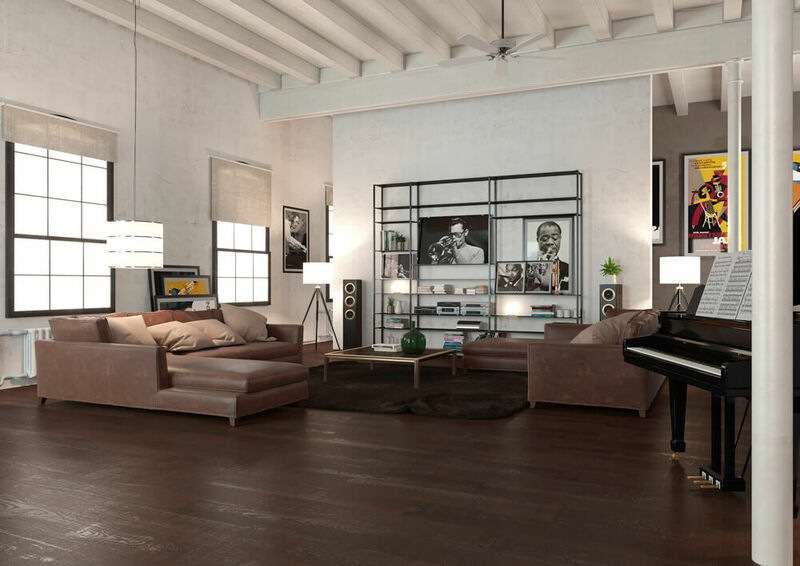 The wide range of formats, materials and colour combinations make sure that tRACK successfully fulfils high demands for modern living in a stand-alone, customised design concept. With this motto, tRACK redefines open-plan living designs. 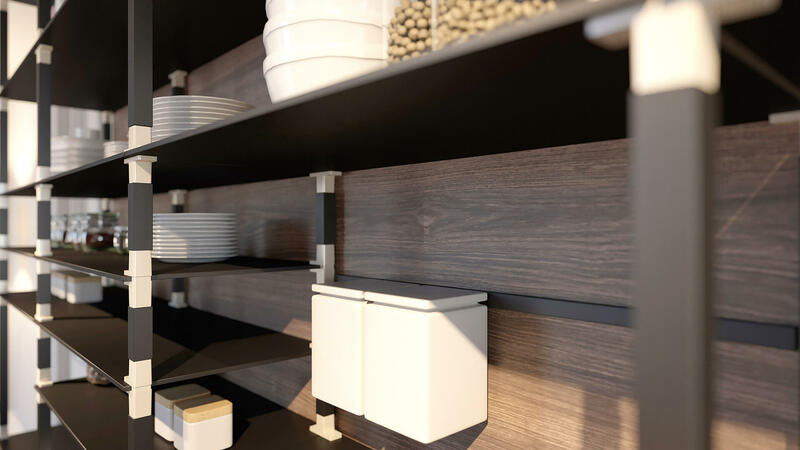 As a solitary or concept shelving system, it is available to interior design partners as part of sophisticated, comprehensive room concepts, which can completely transform living spaces. As an eye-catching room divider, gallery for books, artwork and objects, a frame for the TV or storage space hanging from the ceiling, this multi-tasking shelving can provide a highlight in offices or anywhere where storage and sophisticated design should go hand in hand. tRACK provides modern kitchens with a certain homely touch, just as it brings a taste of luxury purism to bedrooms – everything is always well-arranged and tided away as part of an impressive entertainment system. The setting does not necessarily have to be vast, loft-style rooms, since the shelving system also fits elegantly and stylishly into smaller spaces. tRACK seems to be aware of its own charisma and yet has a down-to-earth, composed effect. This has already attracted the attention of the German Design Council (Rat für Formgebung). Set up in 1953 by the German Bundestag, this design-oriented institution enjoys worldwide acclaim and regularly awards relevant contemporary developments and special design achievements. On the evening before the opening of imm Cologne 2019, “tRACK” is being honoured with a Selection in the ICONIC AWARDS: Innovative Interior. The German Design Council has also put forward an exclusive nomination for the German Innovation Award 2019 in the Interior & Living category. Behind the new brand is the owner-managed Kesseböhmer Group, which has been based in Bad Essen since 1954 and has since made a name for itself worldwide with innovative storage solutions for the kitchen and caravan fittings sectors, ergonomic technology for the office furniture industry, supply parts for the automotive industry and goods presentation systems and shop fittings for the retail sector. The company’s core expertise is in metal processing, which lives up to the company’s own high quality requirements thanks to experienced engineering and state-of-the-art electroplating and powder coating facilities. tRACK is therefore also special and unique right down to the last screw. With close attention to detail, the distinctive T-connector displays trend-setting style, power and clarity. The Kesseböhmer sandwich shelf is so stable that it can even be used in office furniture. Scratch-resistant, low noise, stylish. 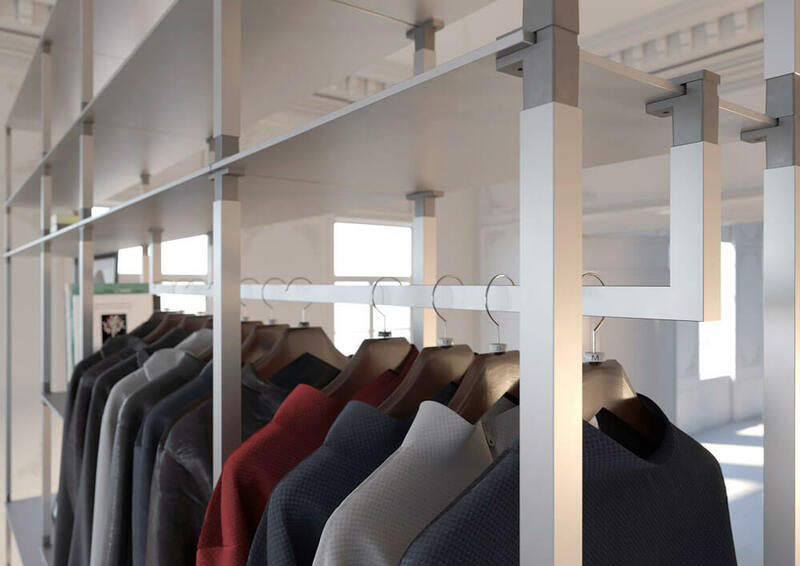 A wide variety of metal surfaces bring to light the full range of expertise from Kesseböhmer: rods, connectors and steel shelves in matt nickel, black or Alpine white microstructure, in copper sunset or chrome sheen, can be combined in a wide variety of ways. At imm, Kesseböhmer hopes to start a dialogue with interested partners to discuss how they can work together to exploit promising target groups such as architects, designers and designer furniture and furnishing stores. As a first step, Kesseböhmer is working with furniture manufacture Form Exclusiv Design Wiemann. This family-owned company currently being managed by the fifth generation is based in Havixbeck in Münsterland and is providing hand-crafted furnishings and sophisticated solid wood furniture for living, office and interiors to complete the design-oriented presentation at imm. Form Exclusiv is the sales partner for tRACK in Germany.